You and your two (2) teammates will select your hockey dream team from players on Stanley Cup-bound NHL teams. The LIVE draft event takes place at SugarHouse Casino with a drawing to determine the order in which players are selected. The real competition begins when the puck drops to start the playoffs! 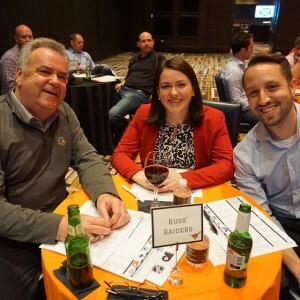 Sponsorship includes drafting, dinner, drinks, and entertainment with Steve Coates & Flyers Alumni. 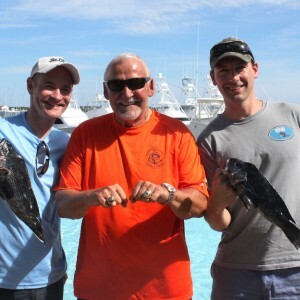 Fishing aficionados of every level are welcome to join NHL Hall of Famer and Snider Hockey Ambassador Bernie Parent for a truly one-of-a-kind event in Cape May, NJ. Cast your lines for flounder, sea bass, and most unusual fish! Entry includes: Captains Breakfast, Live Weigh-in, Poolside BBQ Celebration, and Meet & Greet with Flyers Alumni. Join the Philadelphia Flyers for Snider Hockey's premier fundraising event. Foursomes will feature a Philadelphia Flyer player, coach, or alumnus. 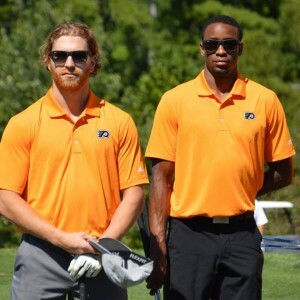 In addition to a day of golf and superior gift package for every player, foursomes will enjoy a cocktail and dinner reception with golfing awards and a silent auction that includes special Flyers experiences and one-of-a-kind priceless items. Hockey Fans who don't know how to skate, fear not! 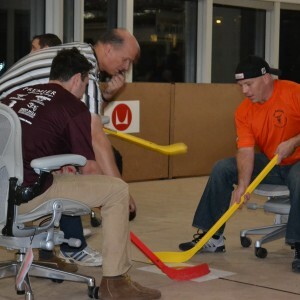 The Snider Hockey Office Chair Hockey "Floor"nament hosts teams of six (6) to go head-to-head in a round robin tournament on a vacant floor of a Center City building. Food, booze, auction prizes, and more!